I cannot understand it. I have been under the impression that the Greek Royals were a bit strapped for cash, and out pops the most beautiful tiara I have ever seen. Probably worth a fortune as well. Perhaps the reason it has not been worn for decades is because it has a bad omen or something, who knows ? Breathtaking anyway. Perhaps someone else has more pics of this tiara ? Or perhaps her dislike of the previous owner ? Who knows. I would love to know the real reason for keeping it hidden for so long. The previous owner was her mother-in-law, Queen Frederica. Also the tiara is quite big and Anne Marie has two other tiaras (ruby & emerald) to choose from. When the Greek Royal Family went into exile in 1973 where they allowed to take with them what they liked? There is no proof that Anne Marie did not wear it for that reason. Maybe it was too fussy and heavy for her. I don't think they could take very much with them. From what I know they left in quite a hurry, so beyond personal items and jewellery and what was in the palace safe, I would imagine they left with very little. Of course it would be very interesting to find out exactly how they managed to get the jewellery out, remembering that each piece was probably in a presentation case, thus increasing the bulk. Perhaps it was literally thrown in a suitcase before they left for the airport. But then the Greek Royal Family, given the historical insecurity of their position, would, I imagine, have had an "escape" plan. I also wonder if they had to leave any jewellery behind ? From all accounts they did not take silver, furniture or paintings when they left, I think this is made obvious by the subsequent legal battles King Constantine had to endure to regain his property. One can only imagine the anxiety and humiliation he had to go through. A great deal of mystery surrounds the Greek Royal family, and the strange "on, off" relationship the Greeks have had with them since their inception. I don't think we will ever find out..............but I remain intrigued by that tiara !!! I think they traveled with their jewelery. Queen Olga of Greece had all of her jewels in tact and willed them to her grandchildren. That was why Queen Sophie of Greece never got to wear her mother-in-law's fabulous emerald collection. It was left to George II and he gave them to his wife Elisabetta to wear. These were later either sold or returned to George II's successor, King Paul of Greece. Queen Frederica also bought back the ruby parure (also once owned by Queen Olga) from Princess Paul of Yugoslavia. The ruby and emerald set were constantly worn by the Queen and her daughter-in-law until her death. It was then the big tiara began to appear to be missing and fueling speculation. Glad its reappearance squashed the rumors that it had been sold. As for the China & Silver, there was quite a bit being sold in Greece from the collection in Tatoi. Prince Christopher of Greece mentions how his mother Queen Olga presented the emeralds circa 1914 as a silver wedding present to her eldest son Constantine and his wife Sophie...whatever the reason why we have no proof Sophie actually wore them (as opposed to owned them) is because she may not have had occasion due to the immediate war and then their exile.Perhaps Sophie didnt like emeralds and preferred the wonderful diamond tiaras,pearls and turquoises already in her collection.This subject has already been discussed long ago on this very site. The gems were no doubt taken out by the Danish embassy who had very close ties with the royal family for many generations.The Danish embassy had also taken many of the same gems out of Russia for Queen Olga 50 years earlier! I think the emeralds did not became part of Queen Sophie's collection because she simply never wore them. If it was up to her, she would not have given Elisabetta any jewels. That was the gripe that Missy had with Sophie. But after the death of Queen Olga, King George II inherited the emeralds from his grandmother and presented them to Queen Elisabetta (remember Queen Sophie was still alive then) , who at first wore them as bandeau, but later as the double E motif was in place when she either sold or gave them to Queen Frederica who wore them often. You THINK...but you cannot prove that Sophie never had the emeralds in her hands....and we know all about the gripe between Marie and Sophie...one of the reasons Marie was angry was that Sophie still had all her gems (emeralds included) and Maries were lost in Russia. The proof is that the emeralds came into Elisabetta's procession after the death of Queen Olga, that means it was in the will of the old queen.That is proof enough. 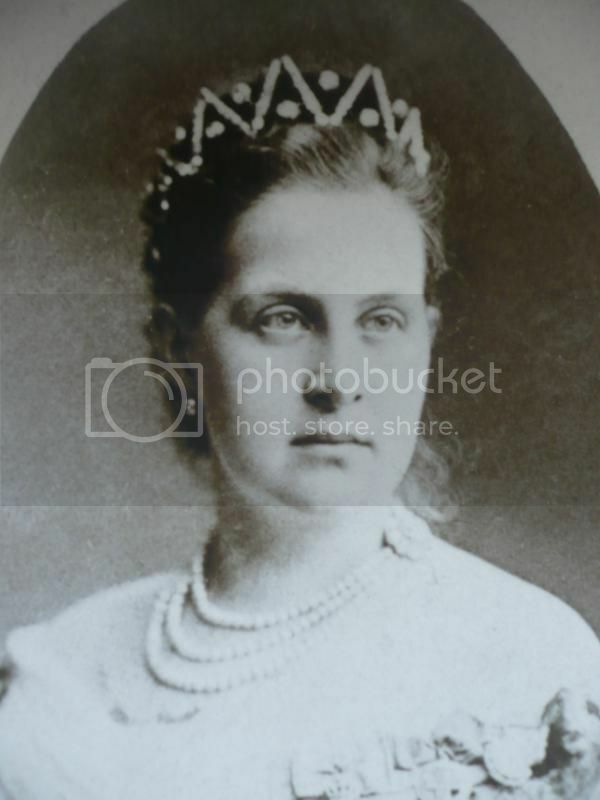 I have been told by a researcher who read the Queen will that the jewels were dispersed after Queen Olga died. That is why Queen Sophie never wore the ruby parure (it was left to Prince Nicholas who gave it to Princess Paul of Yugoslavia) because she never owned it. The same goes for the emeralds. It was willed to George II by Dowager Queen Olga after her death. So Queen Sophie cannot stop Elisabetta from receiving them. This is proof enough. 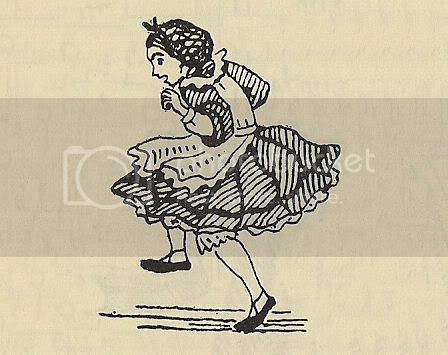 Unless you can prove that Queen Sophie voluntarily gave them to Elisabetta, there is no proof that she ever got it and would have parted them to Elisabetta. In fact, her opinion of he daughter-in-law went from bad to worse. So logically it does not make sense. 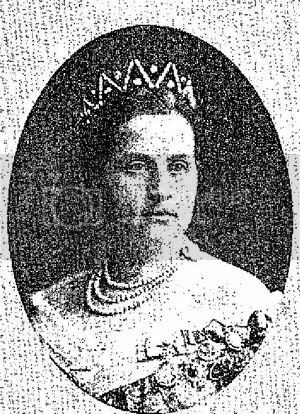 Queen Olga on the other hand was a great friend of Grand Duchess Marie Alexandrovna (Elisabetta's grandmother) and had no qualms of leaving jewelery to her granddaughter-in-law, even though she did left them to her grandson. Blurry photo of Queen Olga and I can't understand - is that tiara or just the elaborate hair-do with pearls?